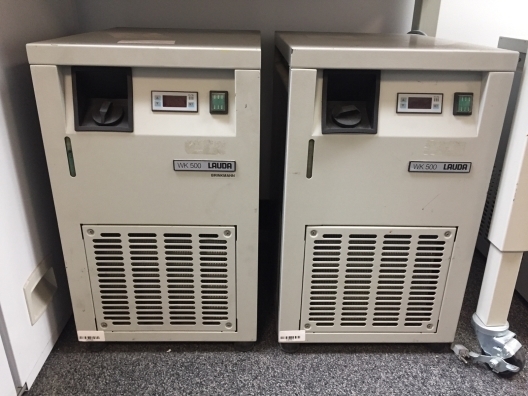 We offer an assortment of used and refurbished Flow Cytometers and Cell Sorters. Some of our popular manufacturers include Beckman-Coulter, BD Biosciences (Becton-Dickinson) and Guava. The new BD FACSAria II cell sorter improves ease of use, flexibility, and aseptic capability to make it the best choice for consistent results in sorting across a broad range of applications. The heart of this cell sorting revolution is the true fixed-alignment flow cell, gel-coupled to the collection optics. Fixed alignment minimizes startup time and improves reproducibility. Gel coupling to the objective lens improves collection efficiency and increases the sensitivity and resolution needed for multicolor applications. The BD FACSAria II cell sorter advances cell sorting with multiple improvements. A new fluidics design improves aseptic setup and cleaning. New nozzle sizes enable a wide range of particles to be sorted. Software improvements dramatically cut the time spent on cytometer setup, adjustment, and maintenance. The BD FACSAria II cell sorter also sets a new standard for ease of use to improve both workflow and productivity. A new nozzle design allows for reproducible insertions. A new universal sort tube collection mount makes it easier to insert and remove tube holders. Software wizards and automation simplify aseptic sort setup, drop-delay determination, and clog detection. Compatibility with BD digital analyzers makes it easier to move from analysis to cell sorting. Sensitivity enables separation of fixed platelets from noise, identification of bacteria, and detection of 0.5-micron beads. Scatter performance is optimized for resolving lymphocytes, monocytes, and granulocytes. Maximum acquisition rate (events per second) with 12 compensation pairs and 8 parameters: 70,000. Also included are the excitation laser lines, laser powers and optical configuration. 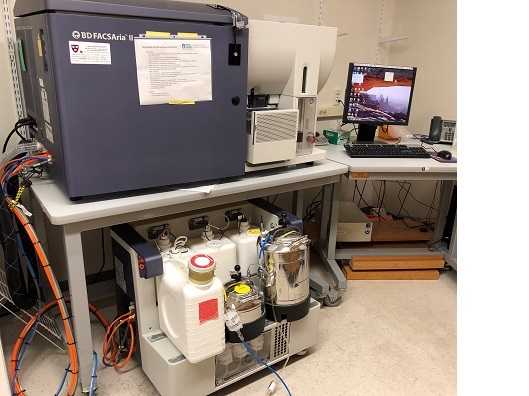 The new BD FACSAria IIu cell sorter improves ease of use, flexibility, and aseptic capability to make it the best choice for consistent results in sorting across a broad range of applications. The heart of this cell sorting revolution is the true fixed-alignment flow cell, gel-coupled to the collection optics. Fixed alignment minimizes startup time and improves reproducibility. Gel coupling to the objective lens improves collection efficiency and increases the sensitivity and resolution needed for multicolor applications. 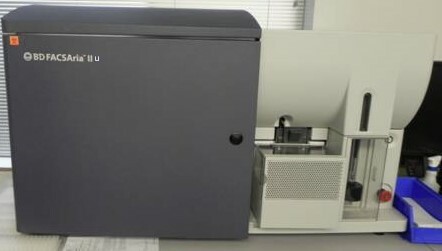 The BD FACSAria IIu cell sorter advances cell sorting with multiple improvements. A new fluidics design improves aseptic setup and cleaning. New nozzle sizes enable a wide range of particles to be sorted. Software improvements dramatically cut the time spent on cytometer setup, adjustment, and maintenance. The BD FACSAria IIu cell sorter also sets a new standard for ease of use to improve both workflow and productivity. A new nozzle design allows for reproducible insertions. A new universal sort tube collection mount makes it easier to insert and remove tube holders. Software wizards and automation simplify aseptic sort setup, drop-delay determination, and clog detection. Compatibility with BD digital analyzers makes it easier to move from analysis to cellsorting.